Cerebral palsy is often caused before or during birth as a result of the baby being starved of oxygen. However, it can be caused by an illness or accident later in life which results in the brain receiving depleted oxygen levels. This results in involuntary muscle spasms due to the brain cerebrum damage. It is a chronic long-term condition . The condition can be defined using two overlapping methods; the body part involved and the type of movements made. Spastic – This is the most common type. Movement is limited by one or multiple stiff muscle groups resulting in stiff and jerky movements. Athetoid – Hyptonia, poor (floppy) muscle tone. Ataxic – Poorly coordinated movements and low muscle tone. Mixed – A combination of the above. 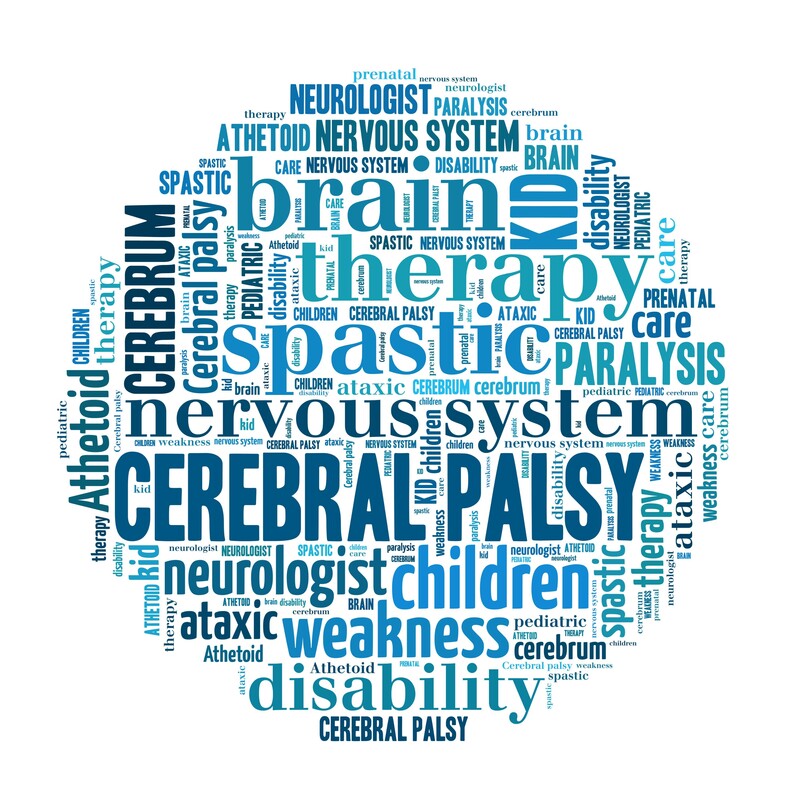 Currently there is no cure for cerebral palsy and treatments are aimed at lessening the symptoms. The cost to the NHS alone is £4 million per year for 110,000 sufferers . 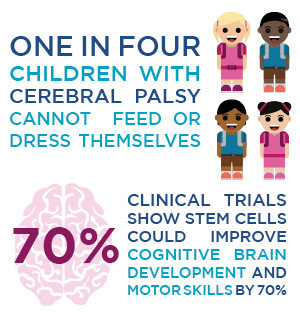 There are currently 29 clinical trials investigating the application of stem cells in cerebral palsy . Clinical trials using cord blood stem cells to treat the condition have had some very exciting results. One study in South Korea used allogeneic cord blood to treat participants. The study was the first of its kind to publish its findings which showed cord blood had made dramatic improvements in movement, brain development and cog,nition. Possibly the most publicised trials for treating cerebral palsy using cord blood stem cells are those headed by Dr. Joanne Kurtzberg of Duke University. The team at Duke have used cord blood infusions in the treatment of brain injuries and cerebral palsy. Within a year, children who received one intravenous dose of at least 25 million cells per kilogram of body weight saw significant improvements in motor function compared to those in the placebo group. The success of the trials at Duke has enabled Kurtzberg and her team to secure a $15 million grant to explore and research the potential of cord blood in treating an array of brain disorders. In 2018, Cells4Life released our first cord blood sample for the treatment of cerebral palsy. The sample belonged to the Shetty family, who hoped to use their second child’s cord blood to treat their first, Jay. Jay suffers from a debilitating form of cerebral palsy that means he cannot walk, talk, or even sit unaided. He is now taking part in the Duke University trial. Could a baby’s own umbilical cord blood prevent them from developing cerebral palsy?